Public spaces present unique challenges of scale and scope. 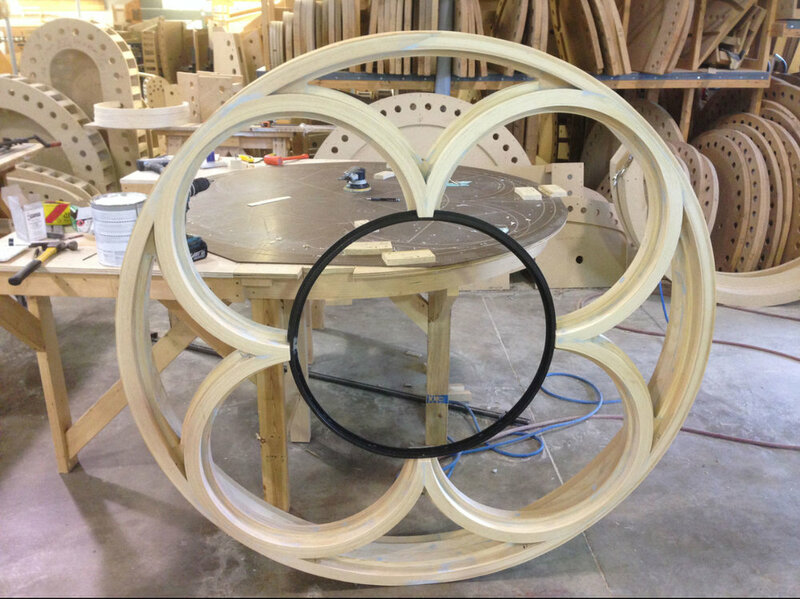 Restoring a two-story window is far different than restoring a second-story window! Yet we take on these projects with great enthusiasm, motivated by the knowledge that the work will be seen — and appreciated — by many people. To give thanks for a generous endowment to OSU, the university wanted to create a special housing for a plaque in honor of the donors. 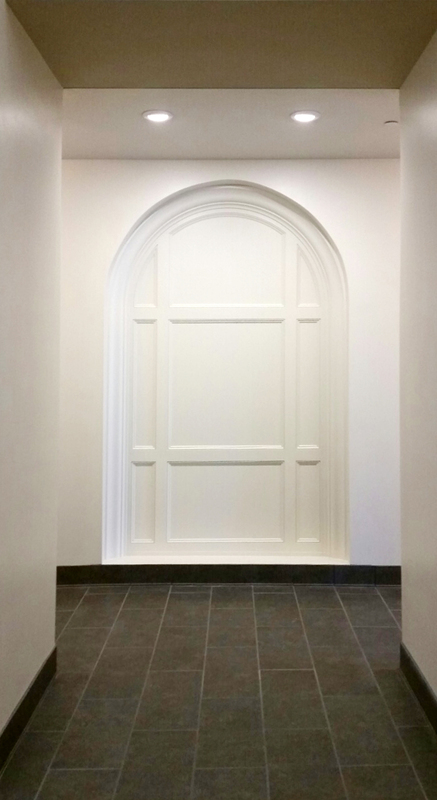 In the foyer of one of the campus buildings, an eye-catching curved niche was created. 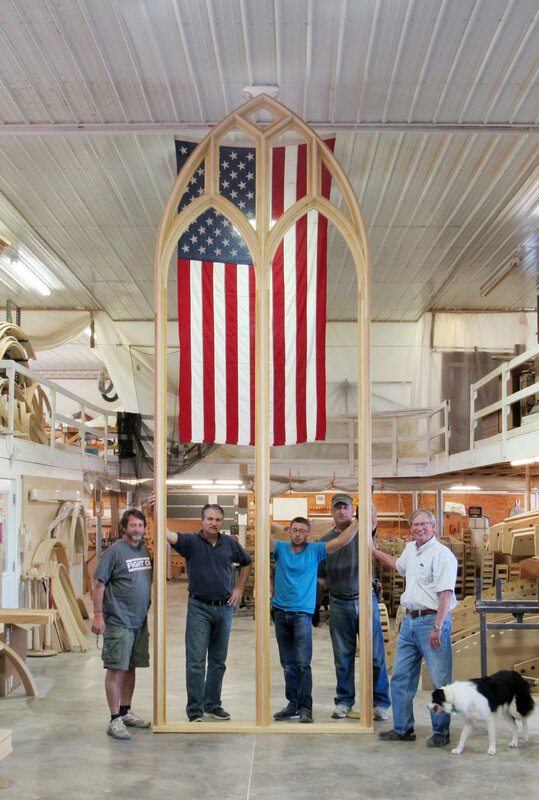 We built an elegant arch and cross-rails to perfectly frame the black-and-white photo. 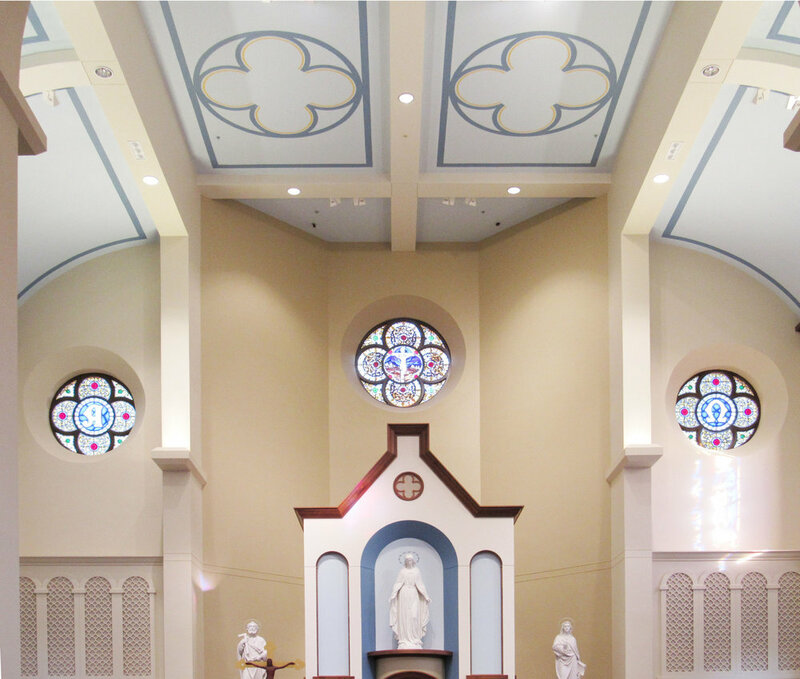 Opened in 1861, the chapel had undergone several changes and renovations over the years. 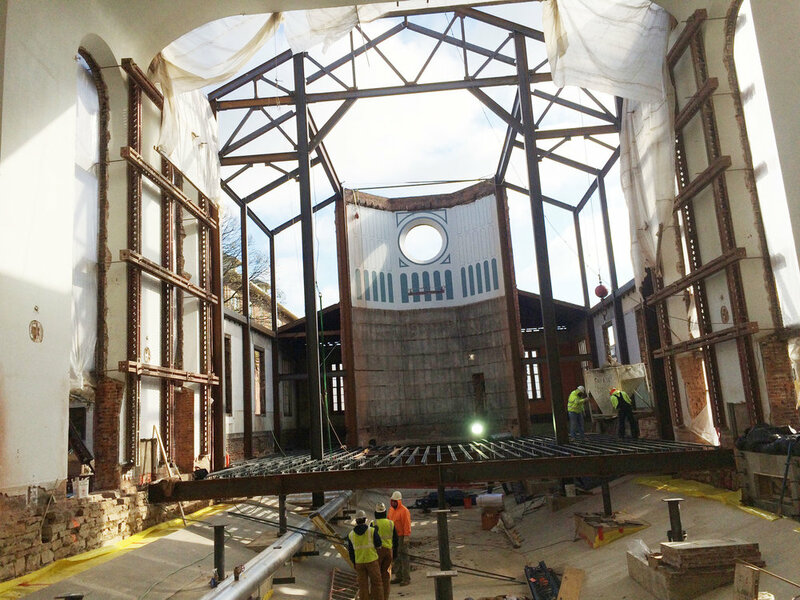 In 2015, the widow frames housing the stained glass needed complete reconstruction. 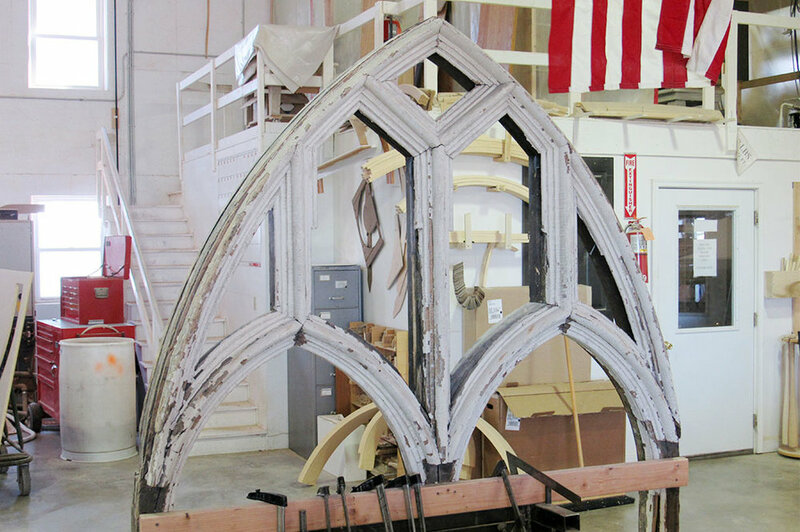 Working with Franklin Art Glass, we restored the window frames to their full glory. This church was built in 1865, and is still in use today. 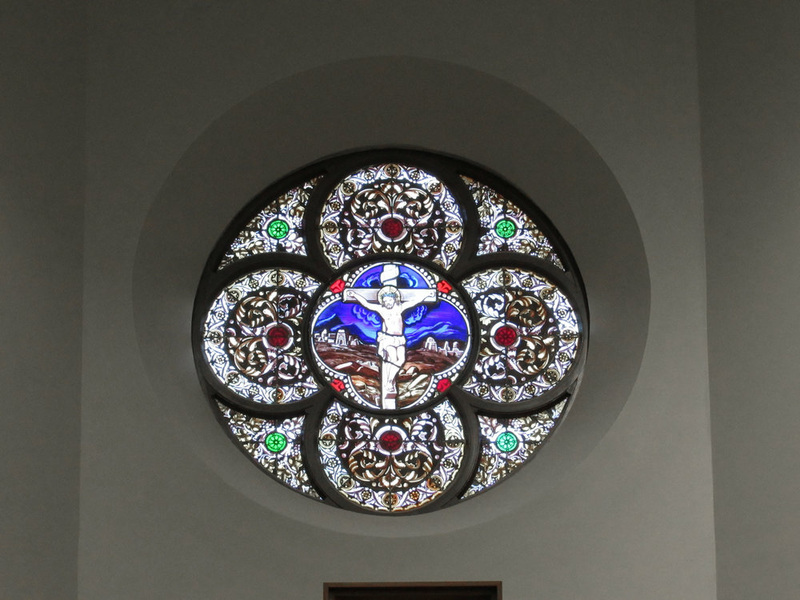 When renovations were needed to the stained glass window casings, we were up to the task. Thankfully our workshop is long enough — and just tall enough — to accommodate the new frames. 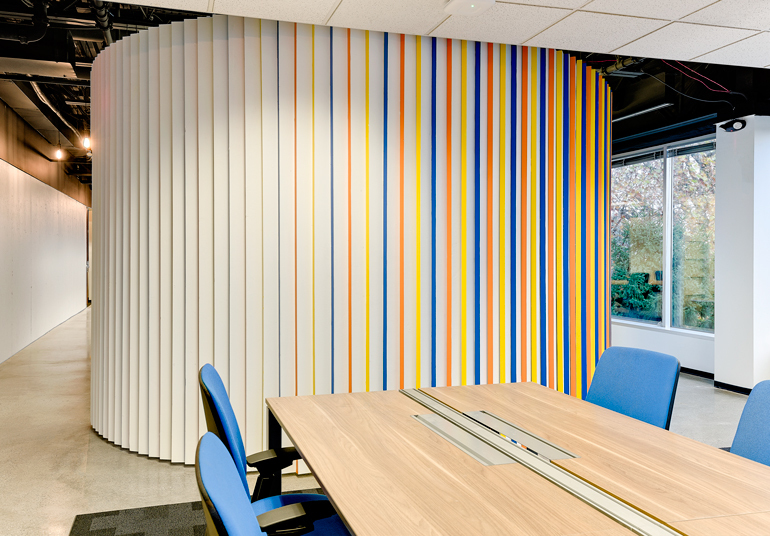 When a business in Columbus wanted a special space just for brainstorming, we built a room designed to inspire creativity. The exterior is constructed with vertical panels that overlap to expose their edges, which are colorfully painted. Inside, an open structure encourages the free flow of ideas. 2018 Copyright Whitmer Woodworks; All rights reserved. Designed by Blink Collective.